An October 4, 2010 letter from an executive committee of UW-Madison’s Faculty Senate to Chancellor Biddy Martin is the newest bit of the ever growing mountain of evidence that oversight of research using animals at the university is out of control and grossly ineffective. As a result, a dramatic and controversial restructuring of oversight was announced by Chancellor Martin and Provost Paul DeLuca in 2009. Martin explained in a letter to faulty and students that restructuring was needed because: “a number of safety and compliance problems ... have led to investigations and fines by major federal funding agencies and have required crisis-like efforts on the part of the university administration to avoid harsher sanctions...”. Biddy Martin. “From the desk of the chancellor: Chancellor addresses Graduate School proposal.” Oct. 21, 2009. The provost says that the complexity involved in administering a research enterprise as large as UW-Madison’s was shown in a pair of incidents during the past six months. The current case puts the lie to the university’s perennial claim that all is well in its animal labs. 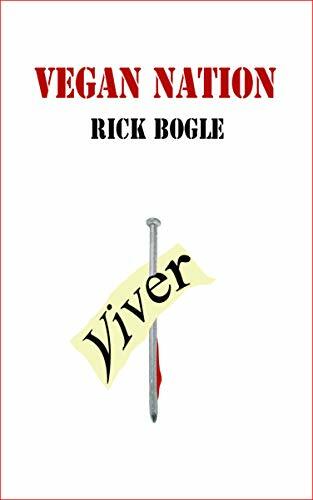 It underscores in bright red the plain undeniable fact that the care of the animals is the lowest priority and that their welfare is the first thing jettisoned when egos clash. A common concern raised by UW researchers regarding the proposed citizens’ panel was the possibility that it would be biased; because the panel was never convened, the validity of their concern cannot be determined. Arguably, this concern doesn’t apply to the University Committee, which makes its findings particularly worthy of notice. Their report is made up of thirty-seven Findings, four Conclusions, and nine Recommendations. 3. Professor Basso’s research is more invasive that that of any other UW-Madison non-human primate researcher. 4. Due to the invasive nature of Professor Basso’s research, there are predictable complications for her research animals. Our experiments are more complicate than [redacted] or [redacted] We have multiple cylinders (up to three) on our explants. This leaves the underlying support structure [a monkey’s skull] less stabile and reduces the life expectance of the explants. We perform recording experiments from very deep midbrain and brainstem structures making each penetration more risky than experiments performed on cerebral cortex for example. Now we know, from the University Committee letter to Chancellor Martin, that in spite of multiple deaths, recurring problems, and unending bickering between the Basso lab and campus veterinarians, nothing substantive was done for half a decade. And it turns out that the All Campus Animal Care and Use Committee* suspended her animal use only after years of multiple serious problems, yet did so in a bumbling manner that violated the university’s internal due process for disciplinary matters. This isn’t a surprise because the animal oversight committees seem unable to comply with any regulations, whether internal, state, or federal. So Basso’s research methods were known ahead of time to be highly invasive. Yet no provisions were made to provide the animals with qualified veterinary care. Even after the SMPH ACUC twice tried to suspend her work, the senior university administration stood by and did little; they allowed more surgeries, abscessed brains, and more deaths. There is a suggestion hidden in the University Committee’s letter to Chancellor Martin that Basso’s methods and problems were whitewashed, that she received tenure in response to criticism of her experiments by animal rights activists. Later on in 2006, she testified before WI Congressman Petri’s Subcommittee on Crime, Terrorism, and Homeland Security's Legislative Hearing on H.R. 4239, the "Animal Enterprise Terrorism Act," saying that she had received unwanted magazine and book club subscriptions in the mail. Finding 15: In late 2008, SMPH administration sought to have the SMPH ACUC shut down Professor Basso’s research program. Subsequently, there were two motions by the School of Medicine and Public Health Anima Care and Use Committee to revoke professor Basso’s animal use privileges, both of which failed on tie votes. SMPH administration then sought successfully to have the All Campus ACUC shut down her research. We need to place all of this in context. 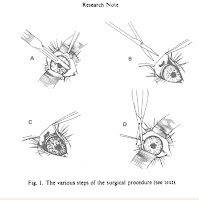 First, the admission/claim/assertion that Basso’s experiments are the most invasive is remarkable given the extreme invasiveness of Ei Terasawa’s experiments on monkeys’ pituitary gland, Kalin/Davidson’s monkey brain ablation experiments, or even Paul Kaufman’s experiments on monkeys' eyes. Second, this new evidence of the university’s long failure to provide qualified veterinary care to the monkeys in Basso’s lab is diametrically at odds with official and unofficial university statements concerning its animal care program. Third, as was pointed out in the coverage of the University Committee’s report, no one other than Basso has claimed that the monkeys she was using were appropriately care for. Fourth, and I will write more about this later, the Basso affair and the university’s assertions that all is well must be seen against the backdrop of the unprecedented scrutiny being paid to their animal care and use program by the USDA and NIH. And fifth, all efforts by the public to look more deeply into the university’s use of animals have been either rebuked outright or else, when legal constraints force them to comply, have resulted in a reluctant release of heavily redacted documents. 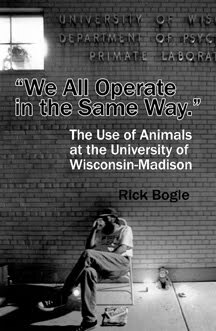 Clearly and beyond any silly assertion to the contrary, oversight of animal care and use at the University of Wisconsin–Madison is a catastrophe for the animals. It could be a significant problem for the university as well since a team of federal investigators is now on campus trying to determine exactly where things fell apart, why they were not corrected, who is responsible, and what fines, if any, should be levied. It should be clear at the very least that the responsibility for the many problems and great suffering rests ultimately with the Chancellor. But just below her in the chain of command, and arguably even more personally responsible are Provost DeLuca and Vice-Chancellor for research Martin Cadwallader. But more than them, it would be difficult to find anyone who failed more miserably in their responsibility to maintain the paltry minimum requirements of the Animal Welfare Act than the current director of the Research Animal Resource Center and past chair of the All Campus ACUC, Eric Sandgren. It is past time to open the university to public scrutiny and to get rid of the deadwood protecting the bad apples and bamboozling the public. This long history of bamboozing, hoodwinking, and cover-up, brings us right back to the university’s efforts to deflect public concern over the use of monkeys and other animals. Finding 21: The members of the All Campus ACUC had little expertise/experience with non-human primate research. [But see “Campus Connection: Panel says ethics considered before monkey research.” Todd Finkelmeyer. The Capital Times January 9, 2010.] Chancellor Martin felt that the All Campus ACUC was the appropriate body to consider the ethics of experimenting on monkeys. 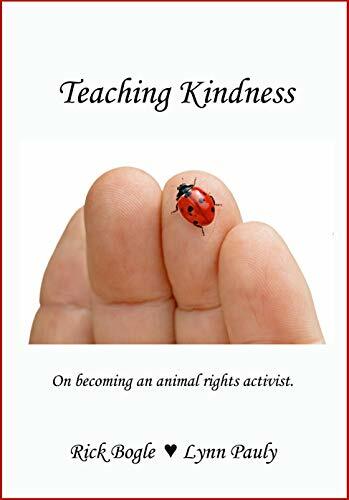 During Biddy’s short tenure at the university she has demonstrated a rather remarkably poor decision-making ability when it comes to anything regarding the use of animals. She has argued that there is no reason to debate the use of animals, but then has told the All Campus ACUC to consider the ethics of experiments on monkeys; she has argued that there is no reason for the public or the county to look into the university’s use of animals, but has announced a series of “public forums” to address the matter. She also wrote a long rambling letter to faculty, staff, and students about the Basso affair, but then had the letter taken off the university website. In her defense, when it comes to the use of animals in laboratory-based research, few if any defenders are able to mount a consistent cogent argument. 1. 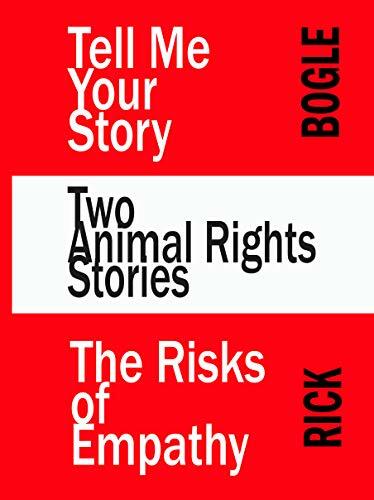 Whenever the welfare of a research animal is at risk, the institutional official should be promptly informed and that institutional official should make a decision whether to suspend the investigator’s animal use privileges. In dire situations it may not me possible to convene the responsible ACUC to examine the situation. This naiveté is mind-numbing. “Whenever the welfare of a research animal is at risk...”? The welfare of every animal used in research on campus is at risk. It is precisely this risk that necessitates the implementation of laws and regulations – regardless of their limited effect – to govern animal use. If the institutional official was actually notified and expected to make a decision “whenever the welfare of a research animal is at risk,” that is all that person would do day in and day out. Right now, their only job is to sign a statement to NIH promising that their institution will obey all local and federal regulations. The UW-Madison institutional official hasn’t even been able to keep that promise. *Unlike most (all?) other institutions using animals, UW-Madison has multiple Animal Care and Use Committees. There is one each for the vet school, the grad school, the ag school, Arts and Sciences, the med school, and (now said by NIH to be in violation of the Public Heath Services regulations) the All Campus ACUC. Most institutions (all the rest?) have only one. Dogma: Basso's lab's best argument? The animal care committee on the University of Wisconsin-Madison campus that temporarily shut down a researcher’s lab in a high-profile case violated her right to due process and failed to follow established procedures, a faculty committee says after conducting its own investigation. The seven-page report, which was obtained by The Capital Times, was dated Oct. 4 and addressed to Chancellor Biddy Martin. It outlines the University Committee’s findings from an investigation into a grievance filed by Michele Basso, an associate professor of physiology whose neurological research using monkeys was the subject of a long letter to the entire campus from Martin earlier this year. Over 400 million fewer chickens were killed and eaten last year according to recent numbers from the USDA. That's about four and a half percent. Maybe the downturn has something to do with the economy, but I wonder. Maybe the methods of reporting or gathering data have changed. But chicken meat is the cheapest meat. If an economic downturn was responsible, there would probably be a reduced consumption of cows and pigs - since their meat is more expensive -- and a somewhat commensurate increase in the consumption of chickens. But USDA reports that the number of animals slaughtered was reduced across the board, as was the consumption of many animal products. Only egg production remained firm. Half a million chickens is a lot of animals. Maybe these absolutely large numbers (even if relatively small) are the result of reduced demand for reasons other than economics. Maybe fewer people feel good about eating each other. Time will tell. Commercial sheep and lamb slaughter, at 2.52 million head, was down 2 percent from the previous year. Commercial duck slaughter totaled 22,767,000 down from 24,149,000. Total cheese production, excluding cottage cheeses, was 10.1 billion pounds, 2.0 percent above 2008 production. Wisconsin was the leading State with 26.0 percent of the production. Butter production in the United States during 2009 totaled 1.57 billion pounds, 4.3 percent below 2008. California was the leading State in butter production and accounted for 33.1 percent of the production. Skim milk powders --- 222 million pounds, down 40.6 percent. Whey protein concentrate, total --- 415 million pounds, down 6.3 percent. Frozen Yogurt (total) --- 74.4 million gallons, down 5.3 percent. Milk Production 189,992 million lbs in 2008. 189,320 million lbs in 2009. U.S. Average Number of Layers Down 1 Percent: Layer numbers during 2009 averaged 337 million, down 1 percent from the year earlier. The annual average production per layer on hand in 2009 was 268 eggs, up 1 percent from 2008. U.S. Egg Production Up Slightly: Egg production during the year ending November 30, 2009 totaled 90.4 billion eggs, up slightly from 2008. Table egg production, at 77.7 billion eggs, was up 1 percent from the previous year. Hatching egg production, at 12.7 billion eggs, was down 5 percent from 2008. U.S. December 1 Inventory Numbers: The total number of chickens on hand on December 1, 2009 (excluding commercial broilers) was 450 million birds, up 1 percent from last year. After the Terasawa incident was exposed by the Alliance for Animals, coming on the heals of the cows being left to starve to death, university spokesman and (now) Research Animal Resource Center director Eric Sandgren claimed that the university had learned it's lesson about public disclosure; from here on out, he said, whenever problems arose, rather than allowing anti-cruelty activists to be the ones letting the public know what was happening, the university itself would be the first to announce any problems. That wasn't true during the Michele Basso affair, and it may not be true once again. Multiple inside sources are saying that the university is again being investigated by the USDA. Reportedly, APHIS Investigative & Enforcement Services arrived on campus on October 6, and announced that an investigation will evaluate the university's Animal Care and Use Program over the past three years. This highly unusual investigation comes on the heals of the unprecedented joint investigation by the NIH and the USDA that reported nearly a hundred violations of the federal regulations governing the care and use of animals on campus. This new investigation will apparently be launched on, Monday, October 18, and will continue through the end of November, at least. As usual, everyone has been told to keep quiet about this. Apparently, the USDA investigative team is comprised of nine people from across the country and is being led by Eastern Region Field Investigator Harry G. Dawson. Apparently, the national pro-vivisection industry front group, the National Association for Biomedical Research (NABR) has been contacted by worried scientists and is said to be alarmed at the possible national impact of likely findings. The most recent closed session of the All-Campus Animal Care and Use Committee meeting was reportedly "very loud." When the meeting broke up, members left quite upset and undoubtedly very worried. I don't know what to make of the people working at Wisconsin Ag Connection, although I'm not sure anyone actually works "there." Wisconsin Ag Connection turns out to be a template produced by an outfit called USAgNet.com. I would not normally have paid much attention to them, but an article they posted on their website, and that apparently showed up on [every-state] Ag Connection, had to do with the disturbing case of the North Carolina contract research lab, Professional Laboratory and Research Services, or just PLRS as it is more frequently referred to. New research shows consumers believe HSUS, PETA over farm groups. New research from the Center for Food Integrity shows most consumers as twice as likely to believe the Humane Society of the United States and People for The Ethical Treatment of Animals over farm organizations when it comes to humane treatment of farm animals. The research was released this morning at the CFI's Food Summit, held in Chicago. • News & Information - Unlike many other Web sites, our own editors generate the daily news content found on this site each day. When you see it on USAgNet.com, you usually do not see it anywhere else. Contrary to a report in last week's Virginian-Pilot newspaper, a comprehensive inspection by the U.S. Department of Agriculture of NC-based Professional Laboratory and Research Services has found no evidence of animal neglect or abuse. The USDA finding follows People for the Ethical Treatment of Animals' September release of a contrived video that inaccurately depicts the conditions at PLRS, in a malicious attempt to force the small business to close its doors. Two USDA veterinarians visited PLRS on September 13 and 14 and conducted a thorough medical review of every animal at the facility. Their inspection revealed no evidence of abuse or neglect. In addition, USDA performed a routine inspection of the facility on July 7--during the time PETA's operative was working there--and found no evidence that would corroborate the group's baseless claims. There are two major problems here. First, the story from USAgNet is almost a complete falsehood, and secondly, it's not from USAgNet's "own editors," it's a cut and paste job from a PLRS press release. The Wisconsin Ag Connection (think industry front group USAgNet) swallowed PLRS's claims without question. Obviously, anyone hurting animals for profit -- like vivisectors and dairymen and ranchers -- must be on the side of truth, and anyone criticizing them, or having the audacity to actually go and find out for themselves, like those pesky PeTA radicals, certainly can't be believed, even if they get hours of videotape. In the cases of the pododermatitis the inspectors observed that the feet were moist, erythematous [redness of the skin, often a sign of inflammation or infection], had dark staining of the fur, and sometimes swelling/interdigital cysts. Many of the animals with pododermatitis also had lick granulomas [a raised, usually ulcerated area] located on their carpal/tarsal joints. And in spite of this overwhelming evidence of extreme neglect, Wisconsin Ag Connection (think industry front group USAgNet) reported to all their readers that "a comprehensive inspection by the U.S. Department of Agriculture of NC-based Professional Laboratory and Research Services has found no evidence of animal neglect or abuse;" that PeTA had made it all up. No wonder the public believes animal advocates over farmers and other animal abusers. Want to bet how many Wisconsin Ag Connection (think industry front group USAgNet)'s readers actually took the time to look at the claims made by their "own editors"? Scientific skill is no innoculant against moral collapse; indeed, if scientific skill has any relation to moral decline, history suggests it may be a risk factor. -Patrick G. Derr, "Hadamar, Hippocrates, and the Future of Medicine: Reflections on Euthanasia and the History of German Medicine." Issues in Law and Medicine. 1989. We now know of still another case of medical researchers experimenting on the weak, on those who have little voice or power. There is a pattern here, but researchers deny it and many others refuse to see it, but the times they are a changin'. From 1946 to 1948, American public health doctors deliberately infected nearly 700 Guatemalans — prison inmates, mental patients and soldiers — with venereal diseases in what was meant as an effort to test the effectiveness of penicillin. Keep in mind too, that penicillin was not produced in quantity until 1945, so almost as soon as the drug was available, US scientists started their experiments, at essentially the same time the German and Japanese were experimenting on prisoners, not a new practice, to be sure. See my essay:"Human Experimentation." March 20, 2008. 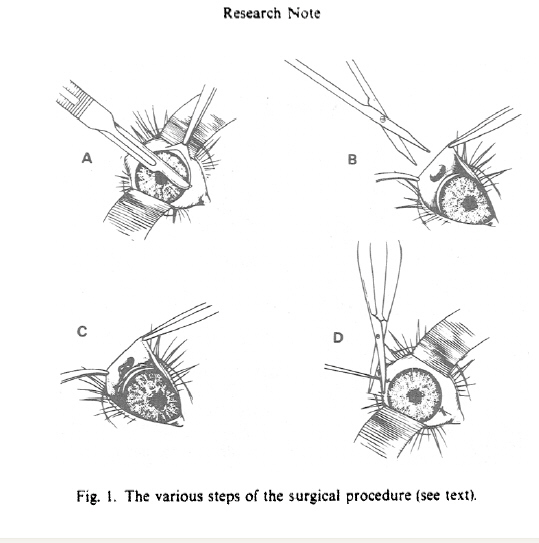 Vivisectors -- those who experiment on living humans or other animals without their informed consent -- like to say that past examples of their ilk's socio-psychopathology should be forgotten, but of course, like this official US apology for something that happened almost seventy years ago, genuine evil behavior isn't forgotten. You can watch some discussion of Supervisor Matano's motion to withdraw the resolution from committee that took place at the September 16, 2010 Dane County Board of Supervisors' meeting. Argument on the motion to withdraw the motion from committee begins at approximately 10:30.